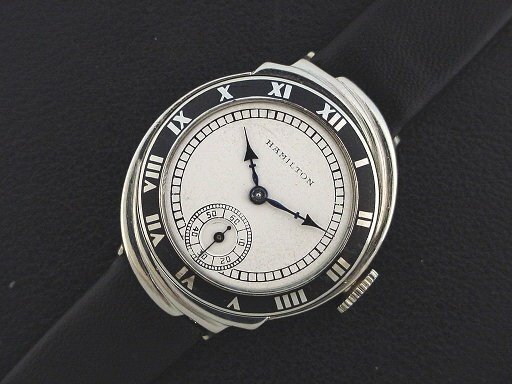 Rare Hamilton “Spur” men’s Art Deco design wristwatch in solid 14K white gold with black enamel bezel, circa 1929. 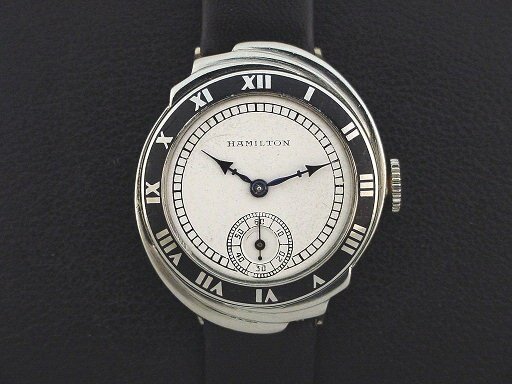 Rare… elusive… desirable… the King of Hamiltons... the “Spur” is among the most recognizable and sought-after early Hamilton wristwatch models. 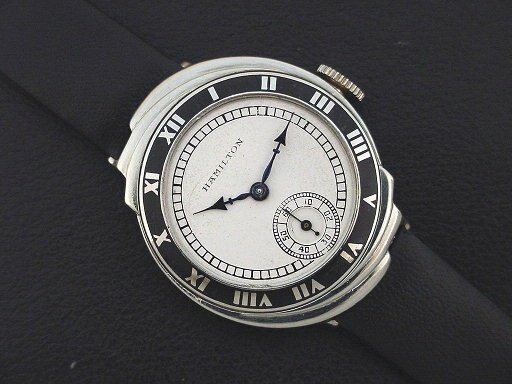 As Hamilton’s first asymmetric wristwatch, it was a preview of the wild designs of the 1950s that were still more than 25 years in the future. The “Spur” was enormously expensive in 1929, selling for $125.00. 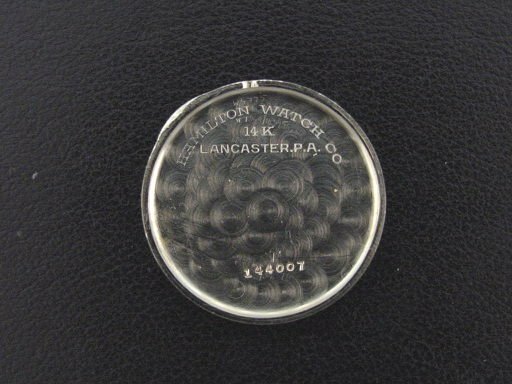 It is quite rare, with Hamilton records showing that only 686 were produced in white gold. With Roman numerals set in a black enamel bezel and dramatic swirling, stepped lugs, the “Spur” is the ultimate in American Art Deco design from the 1920s. This example is in excellent condition showing almost no wear with well-defined swirling stepped fins. Black enamel is excellent with only a few micro nicks and scratches. 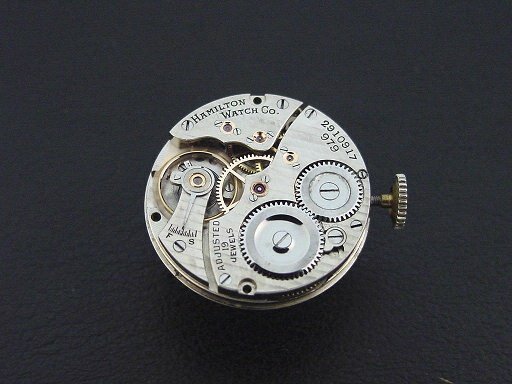 Caseback is excellent and unengraved. 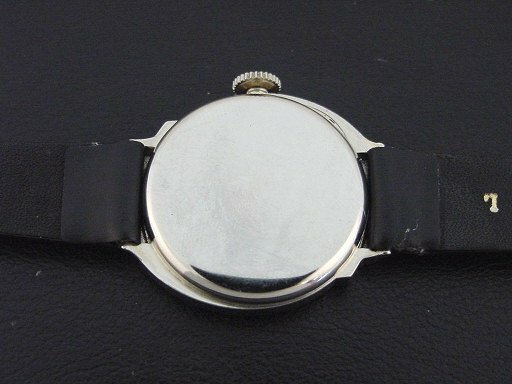 The case measures 33mm long and 29mm wide. Dial is excellent. Has new glass crystal. This watch is powered by its correct 19-jewel Hamilton grade 979 adjusted manual wind movement, just serviced and running strong.